Sergei Vasilievich Rachmaninoff was a Russian composer, pianist, and conductor widely considered one of the greatest pianists of his day. Although at times the reception of his music was met with significant difficulties, he has since been established as one of the prominent composers of the 20th century, and several of his compositions are widely recognized by musicians and non-musicians alike. Rachmaninoiff is considered one of the last great representatives of Romanticism in Russian classical music. His Post-Romantic musical style reflects early influences of Tchaikovsky, Rimsky-Korsakov, and other Russian composers. However, as he matured, his development gave way to a thoroughly personal idiom that included a pronounced lyricism, expressive breadth, structural ingenuity, and a tonal palette of rich, distinctive orchestral colors. At times, his style demonstrates the infusion of a range of musical ideas, as diverse as Scriabin and Prokfiev. As his primary instrument, the piano is featured prominently Rachmaninoff's compositional output, and he made extensive use of his performance skills in order to explore the expressive possibilities of the instrument. Among his most famous compositions are his Second and Third Piano Concertos, his Rhapsody on a Theme of Paganini for piano and orchestra, as well as a number of orchestral and solo works including his preludes for piano. Stylistically, Rachmaninoff's various opuses demonstrate a range of different contemporary influences, from Scriabin to Prokofiev. 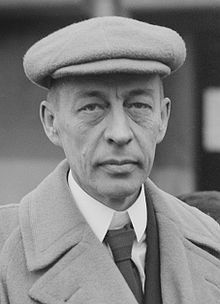 Rachmaninoff also had an interest in finding collaborative mediums to compose for, and though his works for string and piano are limited, he composed several notable works for combination such as cello & piano, string & voice, and two pianos, four-hands. One of Rachmaninoff's most famous compositions is his wordless Vocalise, which is available in two arrangements for cello ensemble below! His reputation as a composer generated a variety of opinions before his music gained steady recognition across the world. Some criticized his music as artificial and over-saturated with feeling, while others admired the rich romantic qualities in texture. Whatever was said, his is now widely known, and a large body of his music sits squarely within the standard repertoire.